Unconformities – defined as a ‘a surface between successive strata representing a missing interval in the geologic record of time’ – is an ongoing project by Joana Hadjithomas and Khalil Joreige, which has developed over several stages. 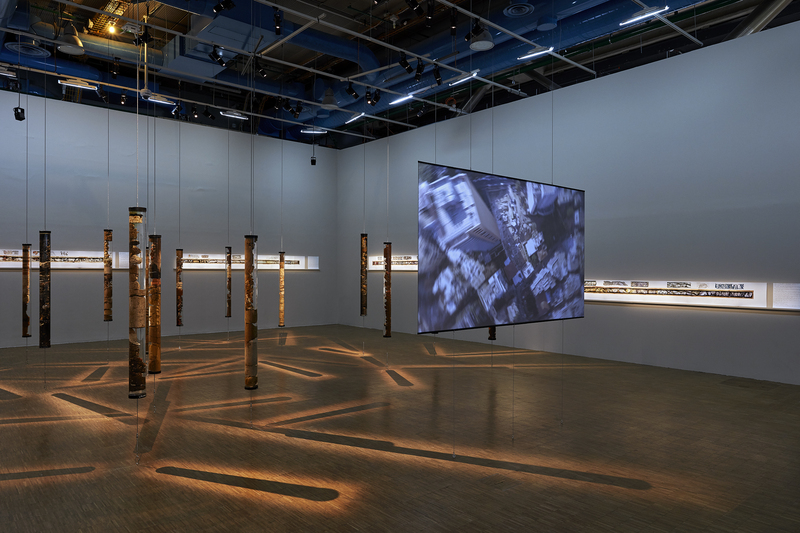 From 2014, the artists have been collecting a series of core samples that reveal the subterranean worlds of three cities omnipresent in their personal imaginaries: Athens, Paris and Beirut. Recovered from the construction sites that discard them after use, these cores bare each unconformity in full view, showing temporal ruptures, natural disasters, and geological movements. History appears not as layers but as actions, a kind of palimpsest mixing epochs and civilizations, both in the distant and recent past. Geological phenomena – whether manmade or natural – appear, as well as the constant cycles of building, destruction and reconstruction of civilisations past and present, with each using the stones of the last. “Unconformities” creates a narrative of place out of these ecological and planetary perturbations, and therefore addresses the Anthropocene, the period which marks the lasting impact of human action on the environment. The poetic recompositions of the artists question the possible narratives within this era, and the representation of our erratic history: digging into the past to question our present. 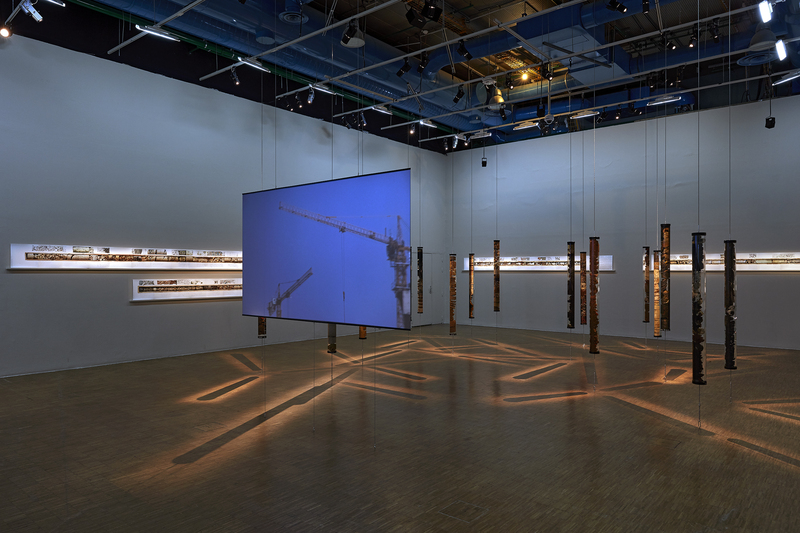 In October 2017 Joana Hadjithomas and Khalil Joreige won the largest contemporary art prize in France, the Marcel Duchamp Prize, for Unconformities when it was presented for the first time at the Centre Pompidou, Paris.